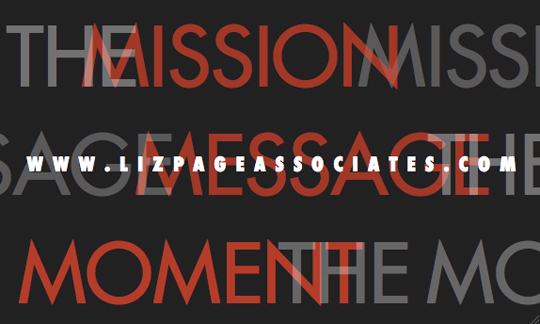 "Shoeprise Party" "Fabulous Forties Club" "6o the new 40" "Mr. & Mr." "Destination St. Tropez" "I DO" "Bonny Doll"
Liz Page Associates creates unforgettable event experiences that inspire, entertain, motivate and educate. 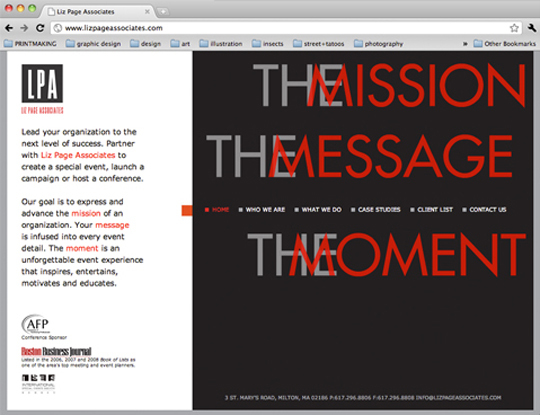 The Mission, The Message, The Moment. 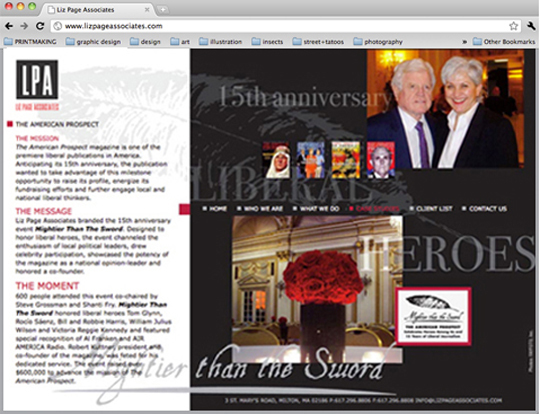 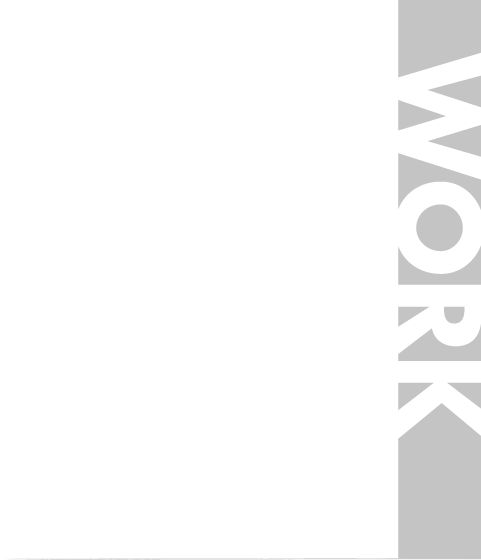 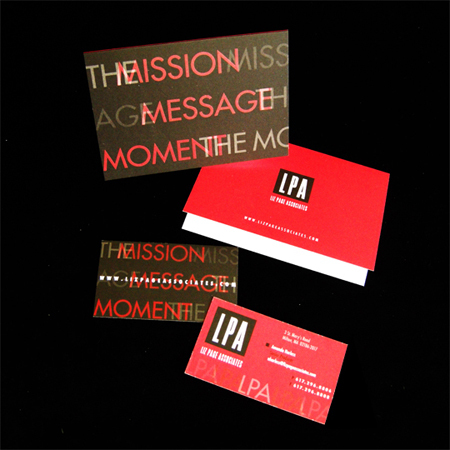 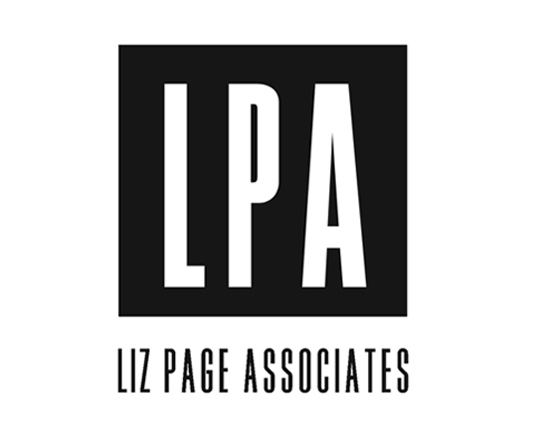 BK Design applied this strategy to develop the lLPA brand, stationery, brochure & website.